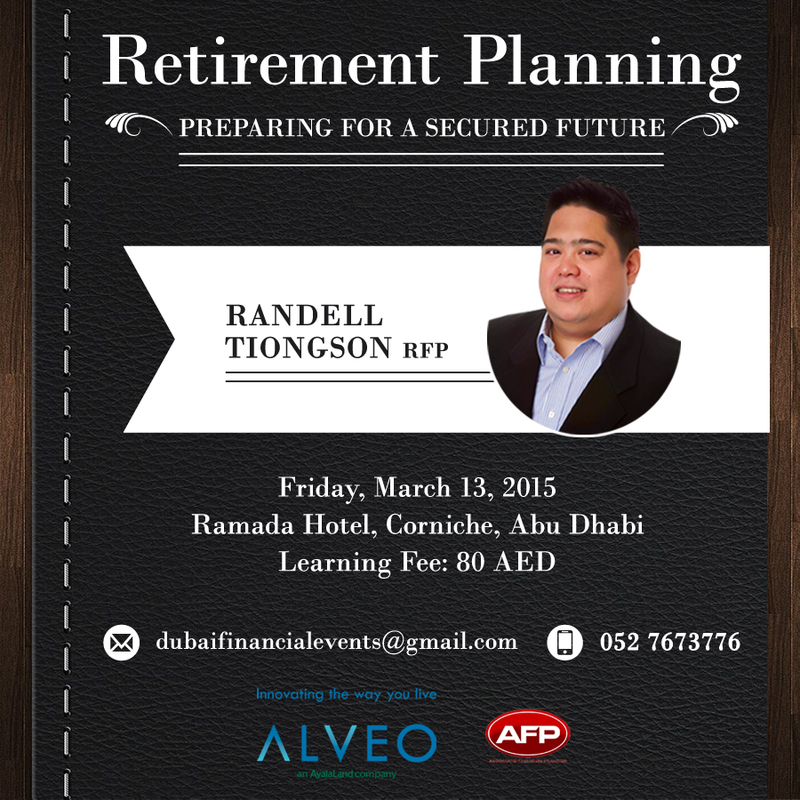 Aside from the main event, Money Talks UAE on March 20, 2015, I will be conducting Retirement & Estate Planning seminars in Dubai and Abu Dhabi as well. You may also send an email to [email protected] for inquiries. 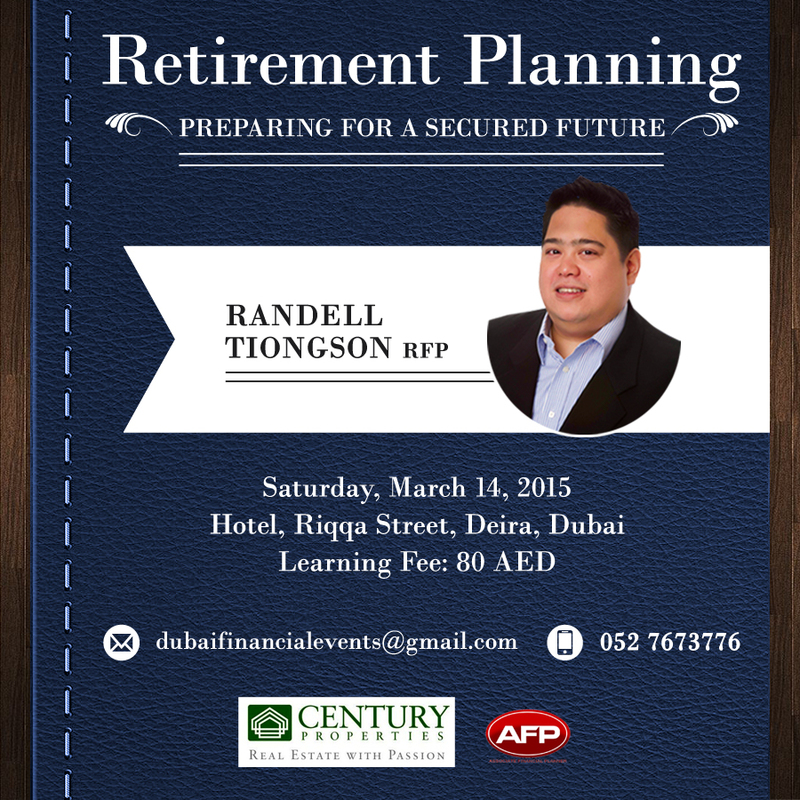 Limited slots only. Good job! Am one of your avid fans. Hehe. Praying for your continued success, in business, in real life, as always. So proud of you, and those used by God to bless so many. Do keep it up, but do take care of your health.